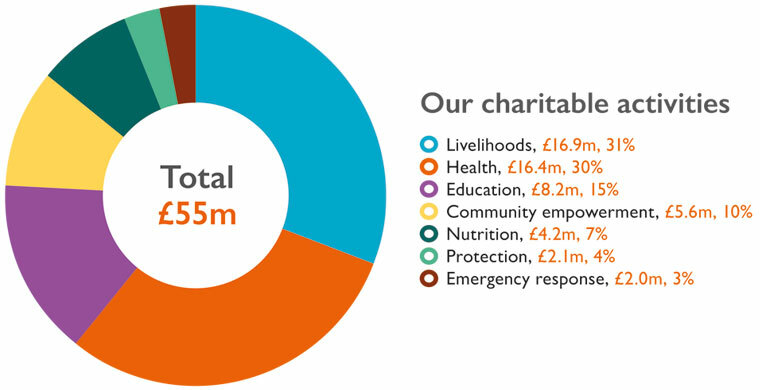 Welcome to World Vision UK’s Annual Report and Accounts for 2018. Within the report you’ll find details of how we’re working with more of the world’s most vulnerable children, as well as our finances for the year. Over the last year we continued to refocus our efforts to stand together with the world’s most vulnerable children. We helped 2 million children in 38 countries and – more than ever – the children we reached were the most vulnerable of all. Thanks to our compassionate donors and grant partners, we spent £55 million on our charitable activities in 2018. These funds helped to transform the lives of children, families and whole communities in so many ways. We are tremendously thankful for all of our supporters. Their generosity is humbling and we’re determined to be good and accountable stewards of the resources they give us. We strive to treat our supporters – and prospective donors – with respect and courtesy, especially around how we fundraise with them and how we manage the data we have about them. We're registered with the Fundraising Regulator and members of the Direct Marketing Association and the Institute of Fundraising. 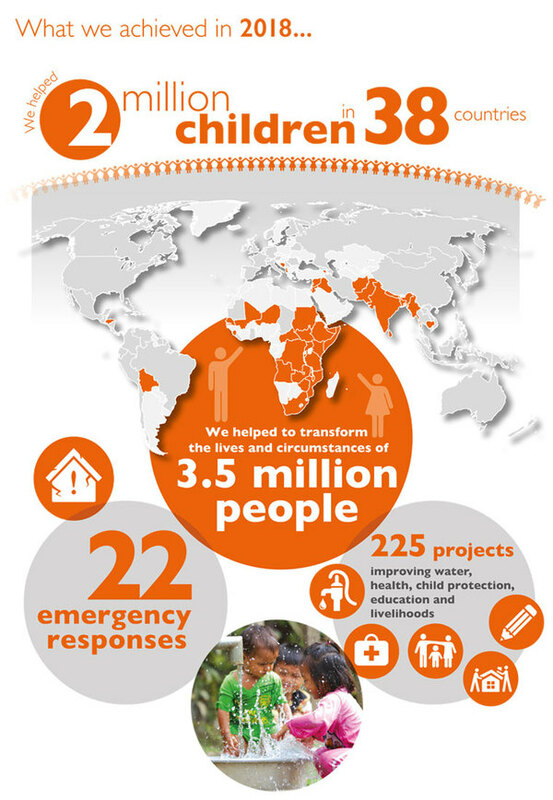 World Vision UK is a member of BOND and has adopted the Core Humanitarian Standard on Quality and Accountability. As part of World Vision International we are members of Accountable Now, the International Aid Transparency Initiative.